A five-pointed yellow star with eyes. This article is about a collectible in Mario & Wario. For the invincibility power-up, see Super Star. Stars are a common collectible from Mario & Wario. Four of them appear in every course except those in the first stage, and collecting all of them grants the player an extra life. To grab one, Wanda must make her character walk over to it. She can also hit them with her wand to make them dance. 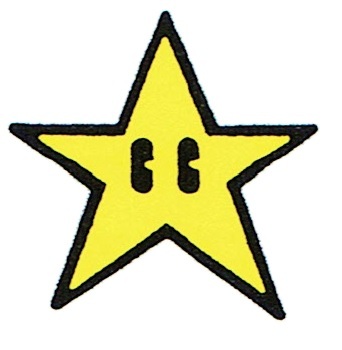 The artwork of the Star is copied from the Super Star in the Super Mario World instruction booklet. ↑ Mario & Wario instruction booklet, page 10. This page was last edited on April 14, 2018, at 23:16.